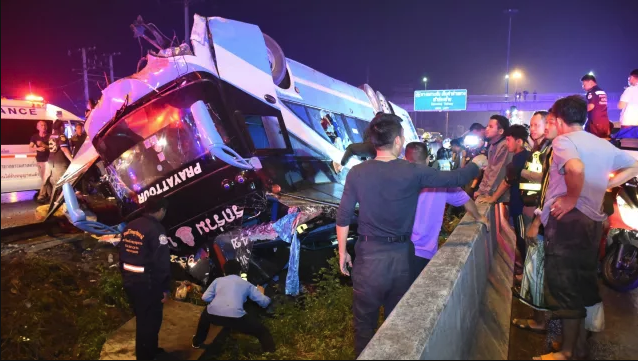 Six people, including a baby girl, were killed and 50 others injured when a double decker bus overturned in Pathum Thani early on Sunday morning. Thairath reported the accident occured at 3.20am on Sunday near the 35+100 kilometer marker on the Phanhon Yothin highway in Kholong Nueang. 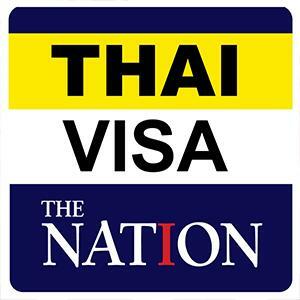 The bus had been travelling from Roi Et province to Bangkok when the accident occured during heavy rain. A passenger told Thairath the bus was travelling at speed when the driver suddenly hit the brakes to avoid colliding with a vehicle in front, causing the bus to overturn. It was not immediately clear where the driver was following the accident. Police said they had been unable to speak to him, but said he could be among the injured that had been taken to various hospitals in the area. The six victims were confirmed as one man, four women and a baby approximately three months old.